On March 21, 2013, it was announced that Ranadive had joined Ron Burkle and Mark Mastrov to be a major investor in the attempt to purchase the Sacramento Kings of the National Basketball Association. In order for Ranadive to purchase the Kings, he had to sell his share of the Golden State Warriors. On May 16, 2013, it was announced that the Ranadive lead ownership group came to an agreement with the Maloof family to purchase 65 percent of the Kings for approximately $348 million and will keep the Sacramento Kings in Sacramento. The NBA approved the sale on May 28, and the deal was expected to close shortly thereafter. On May 31, 2013, escrow was closed on the sale of the Kings to the Ranadive-led ownership group. The transaction valuation of $534 million set a new NBA record. 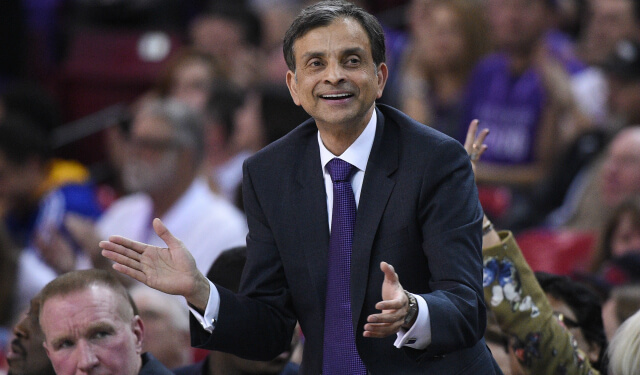 From the start of his tenure as owner, Ranadive set about applying concepts of big data and social networking to strengthen the Kings’ fanbase.